Harsha Wijesuriya was born and raised in Cobleskill, NY. He's lived in The Capital Region for over 30 years, with stints in Southern California and Australia. 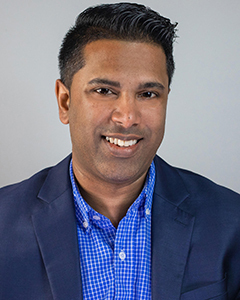 Harsha's 15+ years in hospitality leave him well-equipped to give attention to detail so you may have a great home buying experience with an agent you can trust. Harsha has a great enthusiasm for traveling and discovering new foods and cultures. His hobbies include sports and playing poker. Give Harsha Wijesuriya a call for all of your real estate needs!